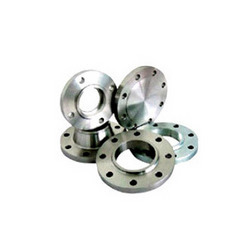 The Industrial Flanges that we supply are made with best quality of steel. Steels which are used by us increase the efficiency of our flanges. Our wide range of products includes Hastelloy Flanges, Monel Flanges, Titanium Flanges, Duplex Steel Flanges, Stainless Steel Flanges and Alloy 20 Flanges. 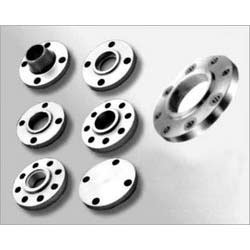 We are engaged in supplying Stainless Steel Flanges that have various applications in industries, general piping and construction sites. 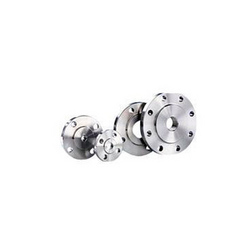 These flanges are made with stainless steel and are tough enough to survive various temperatures. Our products have passed different testes such as laboratory test by government, test conducted by third party and manufacturer test. We offer flanges that are manufactured with latest technology and are widely demanded for rust resistance, durability and smooth finishing. These products are available in different types and they are like LAP joint, SORF, threaded, BLRF, reducing, WNRF, SWRF and spectacle. 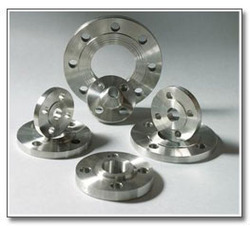 Nickel Alloy Flanges are presented by us to our customers who are manufactured by alloy. 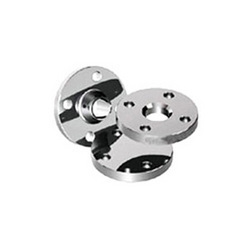 These flanges are available in different shapes and sizes and are also customized as per the need of our customers. Our products are demanded for its resistant against corrosion, long life and affordable price. There are various forms of nickel black flanges and they are reducing and spectacle, SORF, SWRF, LAP joint, WNRF and threaded. We also offer ample range of products and it includes duplex steel, monel (400 and K500), alloy 20, inconel (600, 601, 625 and 825), nickel (200,201, 205) and cupro nickel (90/10, 70/30, 66/30/2/2). We are the leading supplier and wholesaler of Inconel Flanges. Inconel flanges are available in various standards of ASME, DIN, BS, JIS and ANSI. 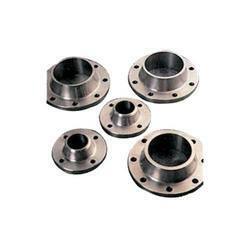 These flanges are presented in different size which varies from half inch to 48 inches. Being a supplier we are associated with trusted vendors to distribute best product to our clients. Being a leading supplier we are engaged in supplying the best quality of Hastelloy Flanges. 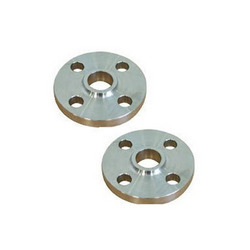 These flanges are manufactured with the standard quality of steel. Our products can resist against corrosion, durable and reliable. The wide range of flanges that we offer includes SORF, weld neck flanges, lapped flanges, reducing flanges, blind flanges, spectacle flanges, plate flanges, plate flanges and reducing flange. We have categorized our products in different grades of hastelloy C 22 (UNS No. N06022), C-276 (UNS No N 10276), hastelloy C-4 (UNS No. N06455) and hastelloy C 2000. With the increased demand of our customers we are engaged in supplying and selling the Alloy 20 Flanges. 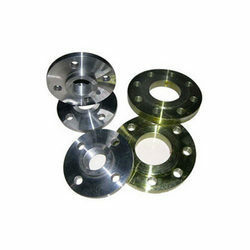 These flanges are made with alloy and are especially designed to meet the demand of our clients. We are associated with renowned vendors to supply the best quality of product to our clients. Our experts always check the quality of the product before delivering them to the customer. Duplex Steel Flanges are supplied by us. These flanges have various applications in industries, factories, and piping and construction sites. We provide different types of sites to our customers such as screwed flanges, socket weld flanges, blind flanges, reducing flanges, plate flanges, stainless steel flanges, lap joint flanges and slip on flanges. Our products are available in standards of ASTM/ASMEA/SA182. ASTM / ASME A/SA 182. F 44, F 45, F51, F 53, F 55, F 60, F 61. Reducing flanges, blind flanges, plate flanges, screwed flanges, weld neck flanges, stainless steel flanges, slip on flanges, socket weld flanges, lap joint flanges. 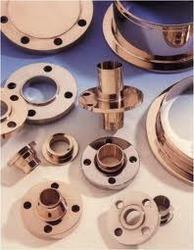 Our wide range of product includes Monel Flanges which are available in various ranges varied from half n.b to 12 n.b. There are various types of flanges that we supply to our clients and they includes slip on raise flanges, weld neck flanges, long weld neck, ring joint and lap joint our range also includes socket weld flanges, screwed, reducing and spectacle. We provide flanges that are of premium quality and customize according to the need of our clients. Specifications as per the international standard ASTM, ASME, API, AISI, BS, ANSI, DIN, JIS, MSSP, NACE. We are engaged in supplying the best quality of Cupro Nickel Flanges to our clients. Our products are available in various sizes ranges from half inch n.b to 12 inch n.b. These products can be customized as per the need of our customers. There are different types of flanges that we offer and that include long weld neck, weld neck flanges, lap joint, slip on raised face, blind raise face, socket weld flanges, large dia ring, reducing, ring joint and spectacle blind. ½” NB to 12” NB. Quality product is what we supply to our clients. We are engaged in supplying the Titanium Flanges which is approved by various councils such as BAX COUNCIL, LRIS, PDIL, BVIS, NTPC and SGS. The titanium flanges that we supply are enclosed with standard of ASTM A269, ASTM A213 and ASTM A249. These flanges are available in different sizes which vary 1 by 8 inch NB to 48 inch NB with the maximum length of 12 meter. Our wide range of product includes spectacle, long weld neck, and socket weld, reducing, slip on, lapped, weld neck and blind. ASTM A213, ASTM A269, ASTM A249. 2, 3, 5 and 12. 0. 9 ~ 4 mm thk.